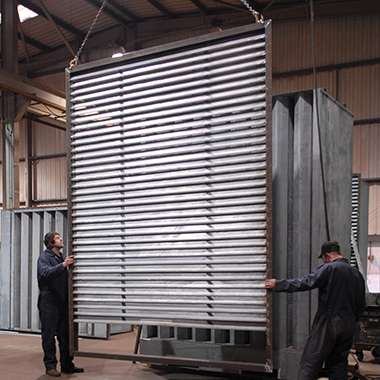 In harsh environments where the climate, location or industrial processes create large amounts of dust, extra protection can be provided by motorised gravity and fixed blade louvres. Bradgate manufacture a wide range of purpose-built louvres that complement Bradgate products and are suitable for a wide variety of applications. All louvres are manufactured as standard in galvanised steel and Zintec steel, with the option of aluminium or stainless steel versions if specified.